Ronnie Holttum was a preservationist at heart. He saw the past in old pioneer buildings and felt drawn to their history. He actively spent a great deal of time to save the structural integrity of the Skagit City School and the Lee School. 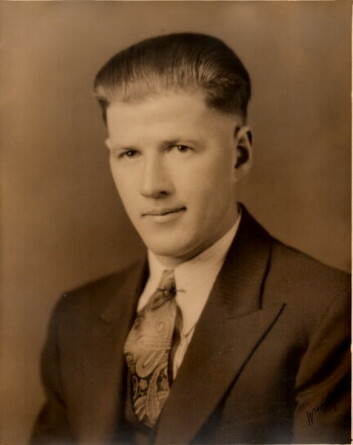 Ronald E. Holttum was born in Petaluma, Ca, March 11, 1906 to parents John and Lorena. The family moved to Bellingham, Washington in 1908 and shortly after to La Conner where Ronnie graduated from La Conner High School in 1925. 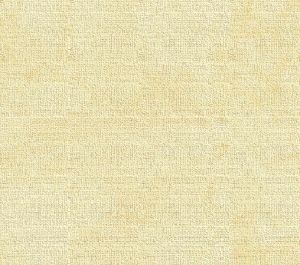 His work career started with the Dunlap family and moved to La Conner sawmills. 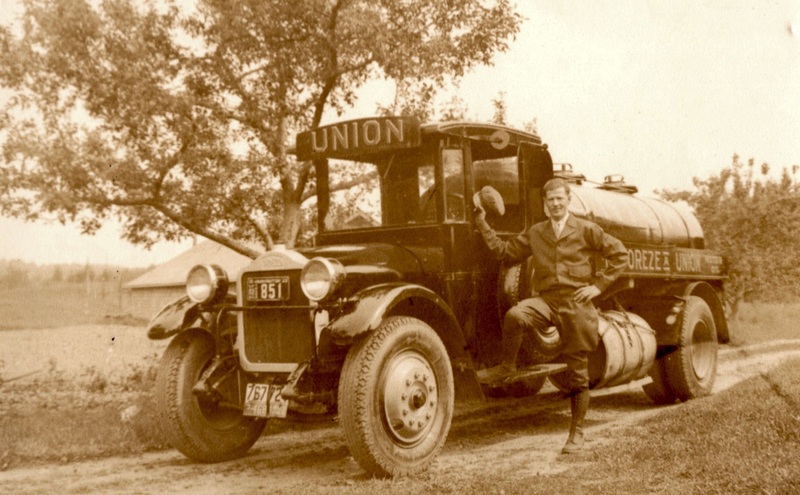 He then went to work driving and bookkeeping for Union Oil Company. His bride-to-be was born Ethel Sophia Olson to parents Olaf S and Sofie Olson in Mount Vernon on February 12, 1905. 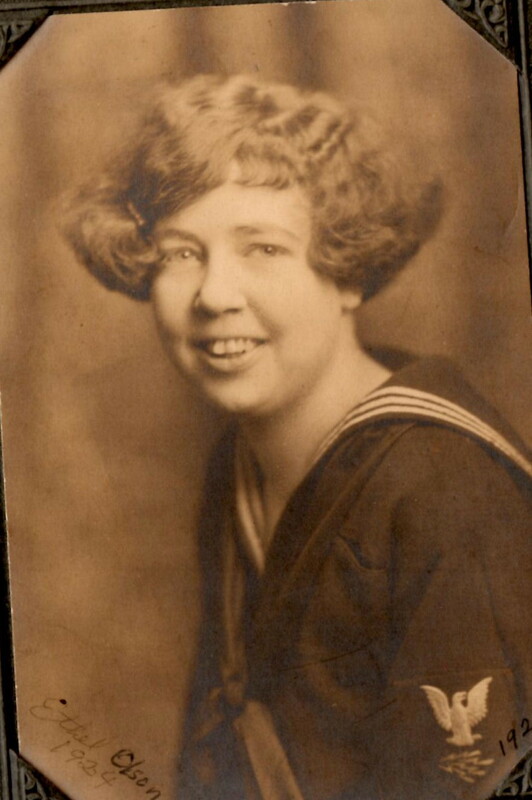 She graduated from Mount Vernon High School in 1923, and obtained a life education certificate at Bellingham Normal School. Over the years she taught in elementary schools at Allen, Ridgeway and Harmony. 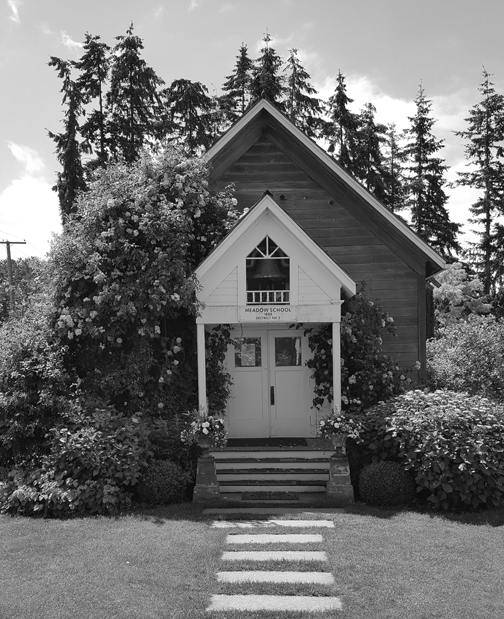 Following their wedding in 1934 they made their permanent home in Mount Vernon in the Cedardale area on Old Highway 99. 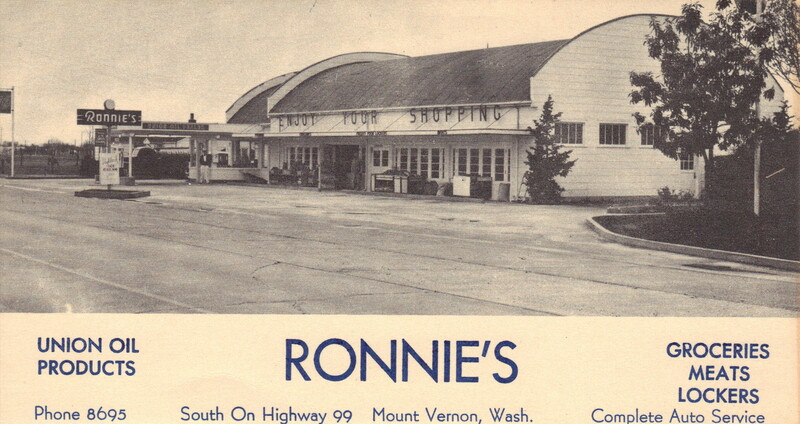 They first owned and operated Sunrise Grocery in Mount Vernon and then in 1945 opened Ronnie’s Grocery Store and Service Station. The business only closed due to a fire in the building in 1967. He continued to work as a custodian for Mount Vernon School District, also working for the Cedardale and Conway Fire Departments. 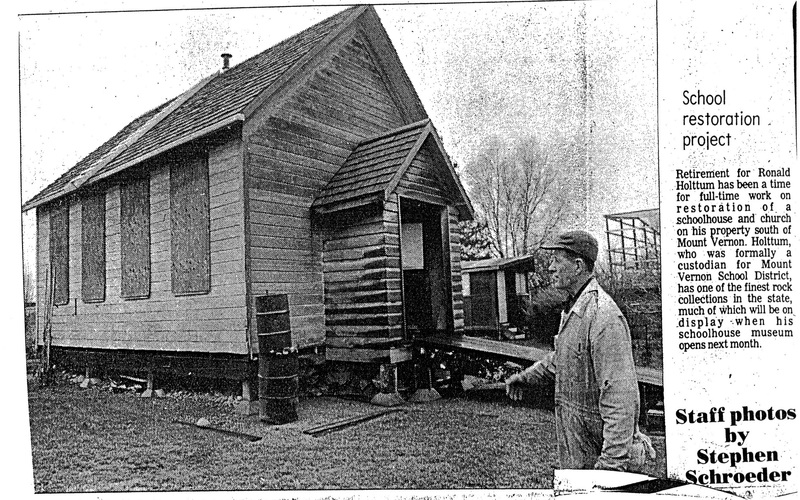 Close to his retirement in 1970, Ronnie bought the old Lee School [originally Meadow School #3]– the oldest schoolhouse still intact in Skagit County. It had been in use as a machine shop for some years on the old Lee farm. The restoration project became his full-time job after retirement. He purchased another building, the Lutheran church, originally called the Bethesda Evangelical Finnish Lutheran. It had originally been located on Stackpole Road and was built in 1909. Ronnie had also purchased the Skagit City School in 1943 for $500. He and Ethel created the Skagit City Community Club – a non-profit organization to preserve the school’s integrity with an annual community picnics to honor its students, their families and their descendants. They managed the picnics until their deaths in the mid-1990s and got to see the building registered as a National Historic Landmark in Washington State. For several years Ronald E. Holtumm of south Mount Vernon has spent most of his waking hours preserving the past, a labor of love which he will open for public viewing next month. Holtumm plans to open the first phase of his historical museum located adjacent to his home across Old Highway 99 across from Cedardale Fire Station. On display will be an old schoolhouse built in 1883 near the former Skagit City Ferry Landing. It is the oldest building intact in Skagit County, he said. Holtumm has also been active in the Skagit City project which will be the scene of an historical marker dedicated during the annual Skagit City picnic held the third Sunday in July. He purchased his schoolhouse [Meadow School #3, also has been called Lee School] at auction 10 years ago. The building, which was constructed on logs in the river, came before the land in that area had been cleared. "There were no dikes, most people lived right along the river in those days," he said. The building was moved five times before Holtumm got it. The earliest moves came as a result of flooding after a logjam was removed fro the [Skagit] river. "Before that the water would just spread out, that is why there are so many sloughs down along that part of the river" he said. The last class at the school attended in 1905 after which the building was moved to the O. N. Lee farm where it was converted into a machine shop. It cost Holttum $600 to buy and more than that to have it moved. "It took me a solid week to clean it out and then the real work began," he said. There was little or no roof left on the building. The original roofing was constructed with hand made shingles. Inside the building Holtumm has many old time desks including the original teacher desk from Skagit City School which has been on display in a Seattle museum until a couple of months ago. The north wall is a display of Mount Vernon High School graduates from the classes of 1939-1942. "This is most thrilling to me because I know a lot of them." he said. He learned of the photos while working as a janitor at Mount Vernon's Roosevelt School. "One day I saw this big stack of things going to the dump and I spotted the photos so I asked to keep them," he said. Holtumm retired from his school job fours years ago and has been working on the schoolhouse for over eight years. Phase tow of the museum project will take another five years or so of restoration work he guesses. It is the one of the original early Lutheran church(s) in the county which later consolidated to become the present Salem Lutheran. The church, called Bethesda Evangelical Finnish Lutheran, was originally located on Stackpole Road and was built in 1909. The church had been moved four times before Holtumm found out about it. He purchased the building just before it was about to be burned. Inside, the church was in even worse condition that the school what with 300 sacks of rotten peas and variety of rats. "The stench was beyond words," he said. When refurbished the old cloths closet at the front of the building will house a collection of old sewing machines used by church women for sewing projects which the process from went to pay for the building. Opposite the sewing machings will be equipment from the first barber shop in Skagit County which Holttum recently purchased from Earl Dibble.